This album was given to me years ago by an old girlfriend who later broke my heart. ha! 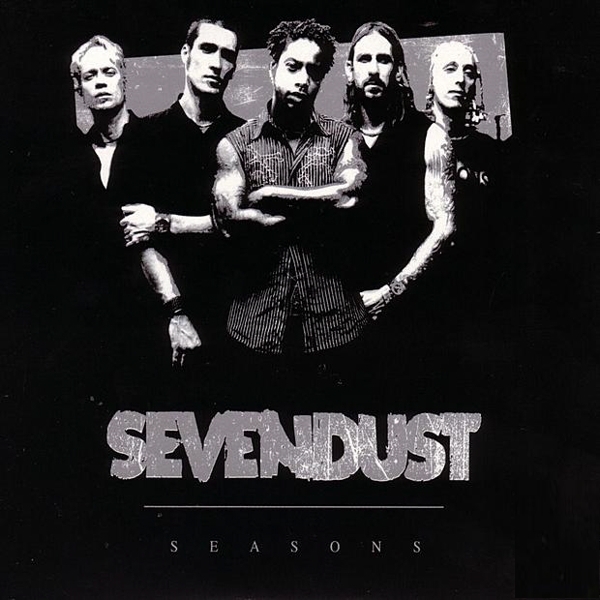 The funny part was that this album helped me through that hard time and ended up being one of my favorite albums by Sevendust. Not because of the situation, but because other qualities. Seasons shines light on a different side of Sevendust. If I remember right, Morgan Rose said this was his least favorite album the band had ever recorded… Why!? It’s so good! Butch Walker produced the album and tried to pull a more radio friendly sound from the Georgia outfit and I’m sure that probably crossed the line of the norm for the band. In my opinion I think it’s a great album full of songs that hit home for me lyrically and emotionally. With a few softer tracks like Separate , Honesty, Skeleton song, we get to see that different side. There are still songs that have that traditional Sevendust sound, and even the softer tracks have that element sprinkled in. The drum sounds on this album are totally different from the previous three. Open tom sounds, brighter snare tones, and a fatter kick sound bring the candy for me. Not that Morgan had a terrible sound on the other albums but it’s just a step outside of the compressed stock drum sounds you hear from heavier bands. Overall it’s a more melodic rendition of the band with great stories about heartache, love, anger, and more. Great hook lines in every chorus, and catchy lyrics that will have you singing out of your car window, or the shower.